The technological advancement called biometrics which was previously seen only in films and detective TV serials has now come to our doorsteps and slowly being commonly seen even in mundane places. Biometrics is actually a security system based on recognition of human body parts or behavior. Because of the uniqueness of body parts like fingerprints, retina, facial features etc and behaviors like voice, typing patterns, etc, biometrics can identify a person. Today biometrics is the best way to keep your valuables safe and is used in the form of various security devices. 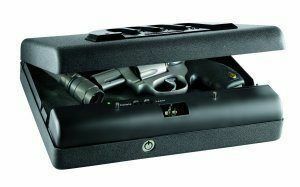 Thus you can use the best biometric gun safe or attendance tracking systems in businesses. Here are 5 types of biometric devices. This system records the biometric pattern of your iris and records it for identification. So, if a stranger tries to enter your home or office or tries to open your safe or other valuable belonging, s/he can be prevented by the security device. This is based on the 3D analysis of one’s palm or finger to identify if the person is real. You have to place your palm on a specialized plate. Then a camera captures your palm’s photo and analyzes its length, thickness, width and surface area. This biostatistics is then recorded and used to compare other’s hands with it for identification. Normally companies use this type of biometrics for attendance tracking and preventing unauthorized entries. The biometrics based on fingerprint identification compares your fingerprints with the one in its record. It analyzes the heights and depths created by the lines on our fingers. Fingerprint patterns are made of loop, whorl and arch. This type of biometrics has been commonly used in forensics where it can narrow down suspects. 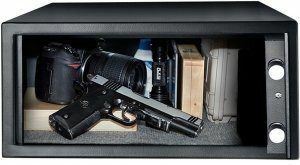 But today it is used in various other devices too like door locks and wall safes. Even in some computers, people use fingerprint identification instead of typed username and password. Depending on facial features like size/shape/position of nose, eyes, jaw line and cheekbones, a biometric system can identify a person. The images are taken by security cameras integrating the facial identification technology and then are compared with other’s facial features to identify the real person. Initially starting with 2D, the technology has now advanced to taking 3D images which are not affected by poor light issues. Capturing the images with more details like contour of these features makes the process of identification even easier. This system is based on human behavior identification, i.e. it identifies the person according to her/his typing pattern, e.g. time taken for spacing of words. It is useful for preventing scammers who try to enter into other’s inboxes or other accounts by fraudulently finding out the user’s login info. So, even if such dupers enter the correct login info, the keystroke identification biometric system identifies that s/he is not the real user and doesn’t allow her/him to enter the account. This is also based on a human characteristic, viz. voice. It finds out if the person trying to enter is the real person or fake from the pitch of voice and style of speaking, even though the fraud may copy the real user’s voice exactly. This is also useful in criminal investigation to compare the voices in their database with the suspects’ voices. 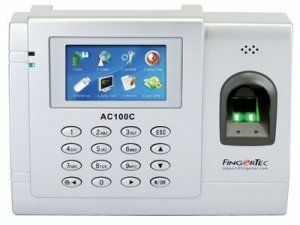 Visit BiometricCentral.com to read comprehensive reviews of various types of biometric devices and get information of top devices like gun safes, door locks, and more, so that you can take an educated decision while buying biometric security devices.